Context - Tuberculosis (TB) is an infectious disease that affects a growing number of people around the world. Usually, it can be treated with antibiotics but some forms of the disease have emerged that do not respond to different types of drugs, making it very difficult to treat, especially in people already infected with HIV. What are the trends in drug-resistant tuberculosis around the world and what must be done to control it? 1. What is tuberculosis and why is it a concern? TB can be treated with antibiotics. Tuberculosis (TB) is an infectious disease caused by a bacterium (most commonly Mycobacterium tuberculosis) that mainly affects the lungs. Many people who are infected with the tuberculosis bacterium will never become ill because the infection is kept under control by their immune system and the infectious tuberculosis bacteria remain dormant. However, if the infection becomes active, the person will become ill and have symptoms such as coughing, weight loss, fever and chest pains. People with a weakened immune system, particularly those who are also infected with HIV, have a greater chance of becoming sick with TB. When people with active tuberculosis in their lungs cough, sneeze, talk or spit, they propel TB germs into the air, which can contaminate other people who inhale them. Globally, the proportion of people who become ill with tuberculosis each year is stable or decreasing. However, because of population growth, the absolute number of new TB cases is rising. Usually, tuberculosis can be treated with antibiotics. 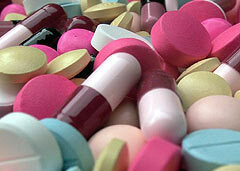 However, some forms of the disease have emerged that do not respond to these “first-line drugs”. They are known as multidrug-resistant tuberculosis, or MDR-TB, and can only be cured with a handful of “second-line” drugs which are more expensive and have more adverse effects. 2. What is the Global Project on Anti-tuberculosis Drug Resistance Surveillance? A network of supra-national laboratories supports the national laboratory network. The Global Project on Anti-tuberculosis Drug Resistance Surveillance was launched in 1994 by the World Health Organization (WHO) and other partners to respond to the emerging threat of drug-resistant tuberculosis. The aim of the project is to evaluate drug-resistant tuberculosis, to monitor its progress across the world, and to develop plans to prevent and tackle it. 3. What are current trends in drug-resistant tuberculosis? TB Patients in a prison in Tbilsi, Georgia. 3.2 Multidrug-resistant tuberculosis is present in nearly every country in the world but the proportion of MDR-TB among all cases of tuberculosis varies widely from one region to another. For instance, it is lowest in Western and Central Europe, and highest in Eastern Europe. 3.3 It is very difficult to estimate the extent of the problem of extensively drug-resistant tuberculosis (XDR-TB) across the world because few reliable data are available, particularly from the countries with the highest burden of tuberculosis. Still, the problem is widespread, with 45 countries having reported at least one case. 4. Why do HIV and tuberculosis form a lethal combination? See also our AIDS Digest. There is a clear association between tuberculosis and HIV. People infected with dormant tuberculosis bacteria can quickly become sick with tuberculosis when their immune systems are weakened by HIV. Tuberculosis can be very difficult to detect in people who are HIV-positive, which can cause delays in diagnosis. This, together with the difficulty of treating both diseases at the same time, has led to high death rates in people living with TB and HIV. There are two main reasons why HIV and drug-resistant tuberculosis bacteria may be associated: HIV infection or its treatment could either interfere with anti-tuberculosis drugs and make them less effective, or could lead to resistance to these medicines. 5. What is the status of drug-resistant tuberculosis in the different WHO regions? The number of new TB cases in India is very large. 6. Why is it difficult to gather information on drug-resistant tuberculosis? Traditional skin tests do not detect drug resistance. Collecting reliable information on drug-resistant tuberculosis is expensive, time-consuming and technically complicated. In order to monitor the worldwide spread of drug-resistant tuberculosis over time, it is necessary to test large numbers of samples, and the database of results should include useful information such as the HIV status of the patients, their medical history and other background data. This requires sufficient laboratories to perform drug resistance testing, staff to interview and classify patients and a transport network to send samples for analysis to different laboratories inside and outside the country. These facilities are expensive and not available in many countries, particularly those with the highest burden of tuberculosis. For practical and economical reasons, current survey methods do not test all cases of TB, which limits the reliability of the results, but nevertheless give a good indication of drug-resistance levels. Patients need to be registered into a suitable treatment programme.